It is very clear that when we talk about Intelligence and Surveillance, the first name comes to our mind is the U.S National Security Agency (NSA) and, the second is Gen. Keith Alexander, the Director of NSA..GEEK behind the massive surveillance Programs. Many documents revealed by the former NSA’s contractor Edward Snowden exposed the extend level of worldwide spying scandals projected by U.S Government in the supervision of Gen. Keith Alexander. The Obama Administration has confirmed that they are replacing Gen. Keith Alexander and giving the command of NSA in the hand of a military officer, rather than a civilian who is experienced in Cryptography and Electronic Eavesdropping. 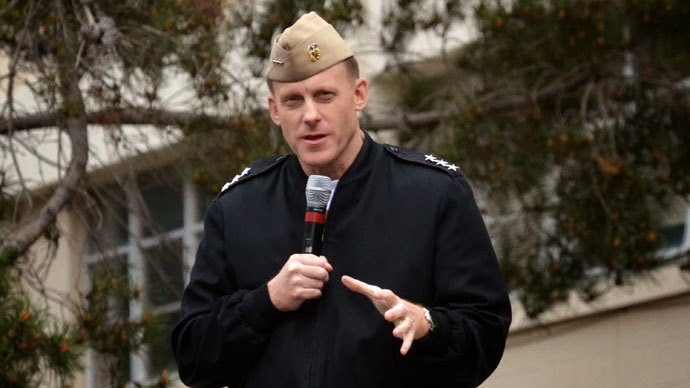 Michael S. Rogers, presently the U.S Navy's Cyber Security Chief, will be the new Director of the National Security Agency (NSA) and head of the US military cyber command. He has been involved in cyberdefense and offense policy issues as head of the Fleet Cyber Command. Neither Rogers nor the White House has offered any statement, but unnamed officials who spoke to the media on condition of anonymity confirmed the reports. Gen. Keith Alexander is expected to step down in mid-March after his 9 years of service as Director of NSA. Also Richard H. Ledgett will work alongside with him who was previously working as a collector, analyst, manager, and senior leader of NSA, now has announced to be the 15th Deputy Director of the NSA. Ledgett said, "We are deeply committed to being more transparent. We care just as much as everyone else about the rule of law and defending the nation in ways that are accountable. We work for our fellow citizens, not against them." Well, now this is already known to us that how much transparent they are, but the up-coming time will tell how the new director is going to balance National Security with Privacy. Rogers understands signals intelligence and cyber attack operations, as well as the intelligence needs of the military and civilian agencies.